Dr Arthur Chapman is Senior Lecturer in History Education at the UCL Institute of Education and a member of the research team at the UCL Centre for Holocaust Education. He is a fellow of the Royal Historical Society and of the Historical Association and a member of the editorial board of the Curriculum Journal, a series editor of the International Review of History Education, an associate editor of The London Review of Education and an editor of The History Education Research Journal. Arthur taught history for 12 years prior to beginning to work in universities full-time in 2005 and he has worked as a history educator and history education researcher in the universities of Cumbria, Edge Hill and London. 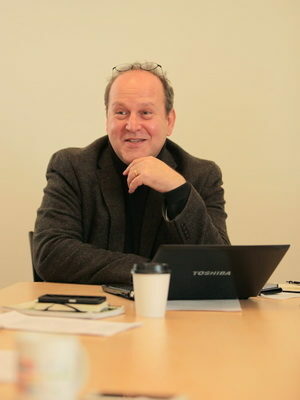 Arthur has co-directed conferences on the legacy of Primo Levi (Edge Hill, 2012) and the Holocaust (UCL, 2016) and directed evaluations of the Holocaust Educational Trust's Lessons from Auschwitz project in 2008/9 and 2014/15. He has published widely in history education, editing three books on history pedagogy. Interpreting Primo Levi, co-edited with Minna Vuohelainen, was published by Palgrave MacMillan in 2015.